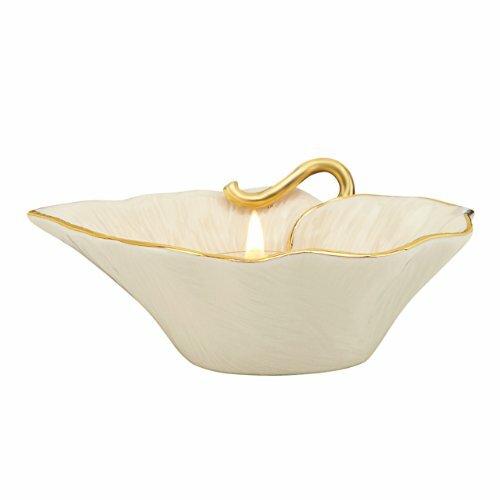 Light up your home with this unique leaf-shaped votive, beautifully crafted in Lenox ivory fine china. The delicately scalloped rim and curled stem gleam with the richness of 24 karat gold. Candlelight gives this piece an enchanting glow. Candle not included. Height: 1 1/2"; length: 5".